She’ is now a proud mom! 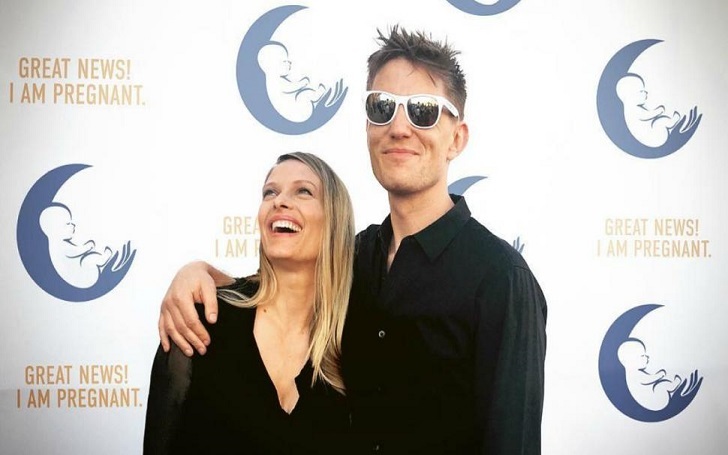 Hocus Pocus star Vinessa Shaw and her husband Kristopher Gifford have officially welcomed their first child, a baby boy. The 41-year-old actress took to Instagram on Thursday, March 1, to announce the arrival or newborn, revealing that she had given birth to a son named Jack on February 20. After a long labor with many complications, Baby Jack was finally born two and a half weeks after his due date on 2.20.2018 weighing in at 9lbs 9oz!!! Needless to say, we are overjoyed about our new little addition! He and I went through a lot, as the plans of having a natural birth were derailed. But with the support of so many people: family, midwives, and hospital staff, we came out victorious, healthy, and happy! Ok that’s all. Too tired to write anything else. Nap time! ????? ?#happymommy #happyfamily #champions. The Ray Donovan star first announced her pregnancy via Instagram in August 2017. Great News! We are proud and excited to share that we are expecting a little one early next year!...My hubby is a graphic designer, so I hope you appreciate his cheekiness ?????? It’s just a bunch of Hocus Pocus. Maybe I should have used this for my pregnancy announcement?? #anythinggoes. Vinessa kept her fans updated throughout her pregnancy. On February 2, she shared a photo of herself and her flaunting her growing baby bump. When you can’t sit in a normal chair anymore, at least you can match your new “baby chair”! This bun is almost baked! #anythingforbabyandworldpeace #nationalwearredday ??? ?